With the launch last year of the pyramid ‘of sugar’ behind the Pure Sugarmark, enhancing and reflecting the pure shapes of the original design, work has begun on building a new home for globally recognised symbol of pure sugar. Graham Somerville, Ben Eastick & Roger Simmons. 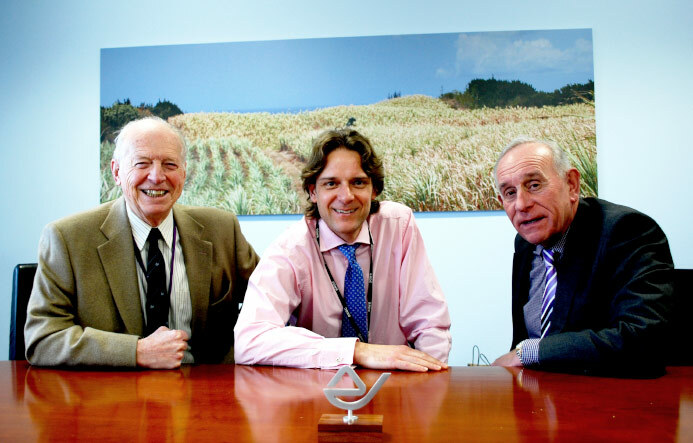 Former International Sugarmark Executive Director Graham Somerville, Ragus Marketing Director Ben Eastick and designer Roger Simmons at Ragus headquarters. Ragus are now the entrusted custodians of all the Sugarmark archives, as the new and revitalised pure Sugarmark moves into the 21st century representing the positive messages of naturally grown pure sugar.